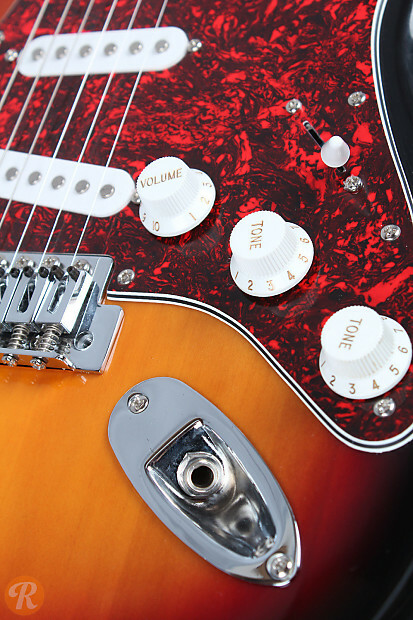 The Squier Bullet Strat is currently Squier's lowest-priced offering. 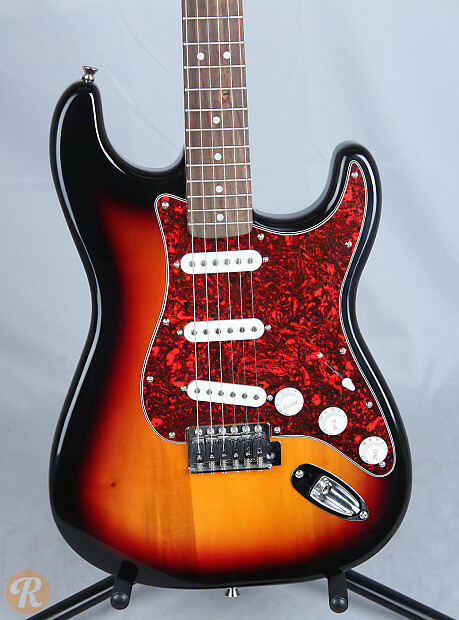 It offers the same basic features as Fender's more expensive Stratocaster models, including three classic single-coil pickups, instantly recognizable body style, and a vintage-style tremolo bridge. 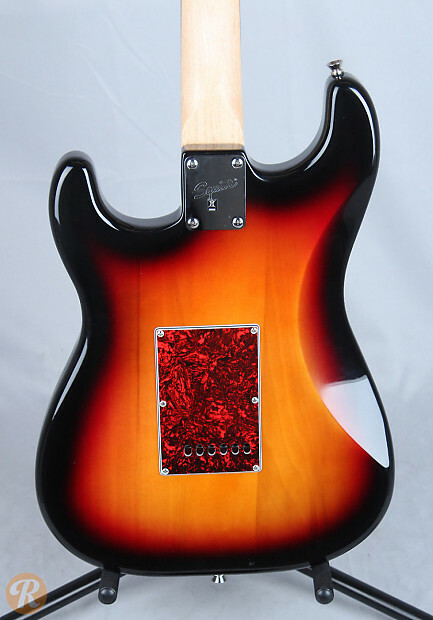 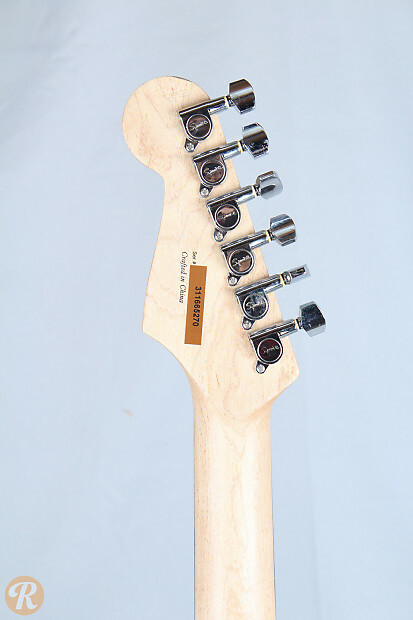 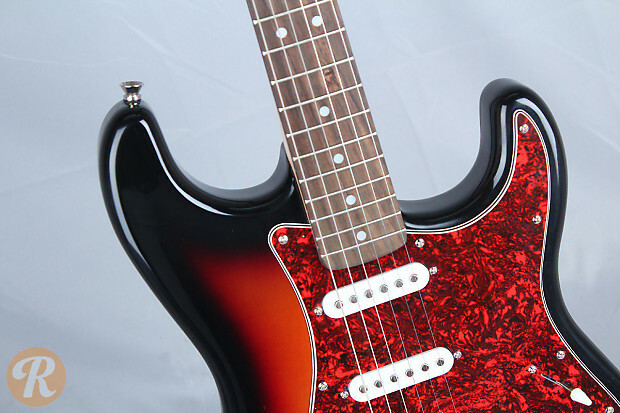 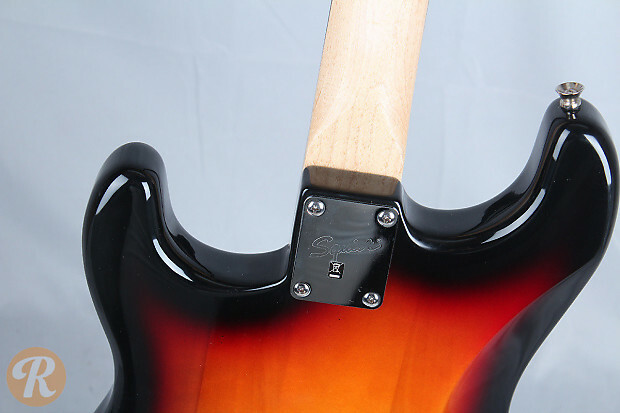 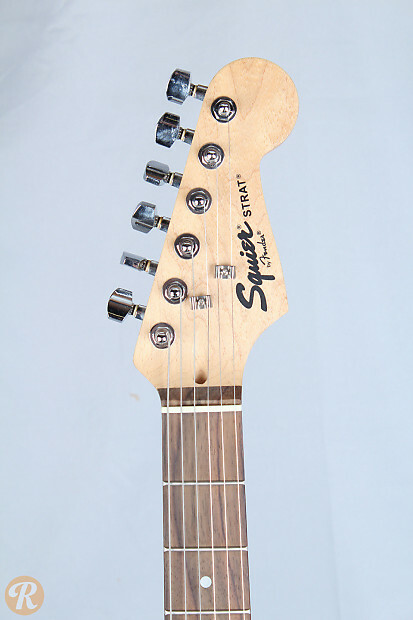 The Bullet Strat is available in a variety of colors, including Black, White, Red, Blue, Sunburst (pictured), and an assortment of other solid finishes.